For now let’s do an activity, close your eyes….. Seriously, after reading this paragraph, just close your eyes and imagine yourself on a mountain 2am in the morning, or beside a lake on a dark and cold night and then you raise your head and see the millions of stars shining and calling out to you. While you raise your head and admire the beautiful sight, have you ever thought about seeing those shining stars on the beach and within your reach? You must be wondering how is that possible? Ladies and Gentlemen, introducing to you the bioluminescent plankton! 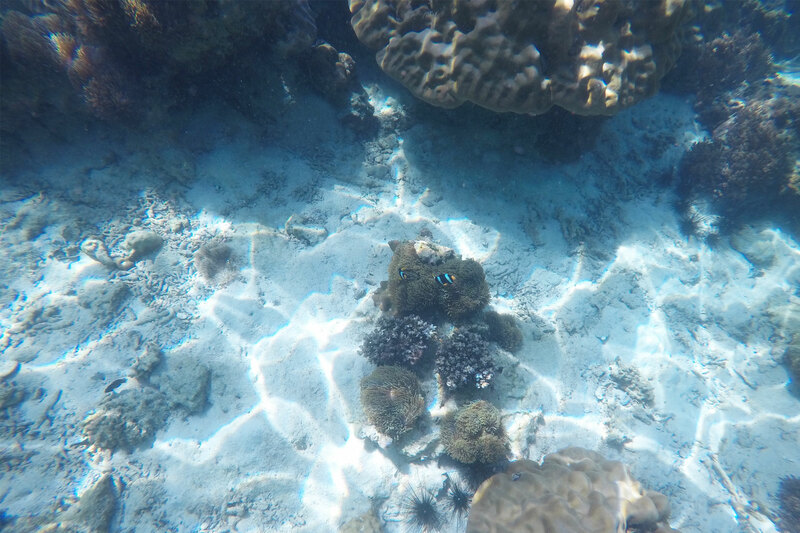 I chanced upon this amazing discovery only to find out that the closest and best place to see is at Maldives…… While I thought that it was the only place to be able to see the natural sight, I got to find out later that there are other places that you can spot the same thing as well! These places include Blue Grotto, Malta, Puerto Rico, San Diego, Jamaica, Australia, Toyama Bay in Japan, Matsu Island in Taiwan, Vietnam and Thailand! Today, I am going to introduce to you a great weekend getaway from Singapore! It is not too far that you will burn a hole in your wallet, yet not too close either for you to feel that you are not overseas yet! In addition, you get to see one of the natural lights, on this little island that is also deemed the Maldives of Thailand, Koh Lipe! What is Glowing Plankton(bioluminescent phytoplankton)? Bioluminescent is a chemical reaction that takes place within the bodies of certain creatures, this results from a light producing chemical reaction known as chemiluminescence. When some chemicals within the bodies are mixed together produces energy which excites other particles to vibrate and generate light which causes the glow in the plankton. 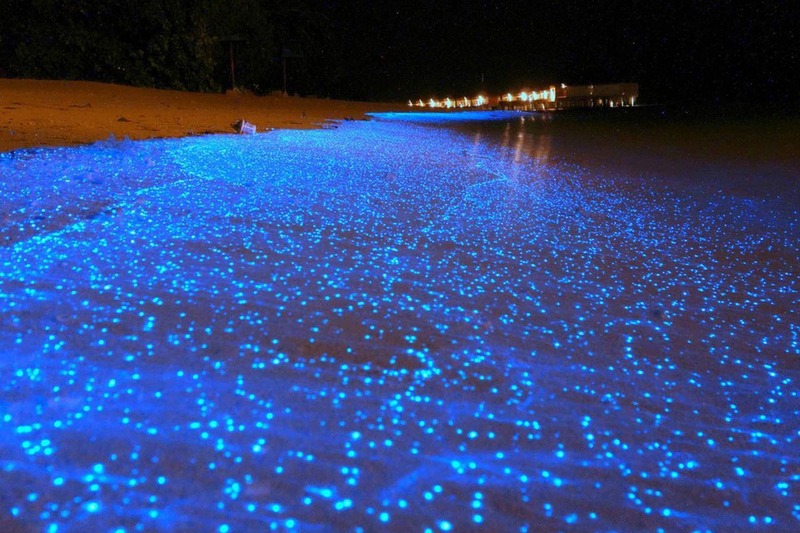 It is said that Noctiluca, a type of bioluminescent plankton glows to startle or scare away its predators. The bioluminescence also attract bigger predators to eat the Noctiluca’s predators”, to know more about bioluminescent plankton, you can go to this link. How to get there from Singapore ? There are various ways to get to Koh Lipe, depending on where you want to take the ferry service from. If you plan to do island hopping in Thailand, you can take ferry service from Koh Lanta, Koh Ngai, Koh Muk, Koh Kradang, Koh Bulon, Koh Phi Phi, Phuket, Krabi, Pak Bara, and Langkawi. All modes of transport are speedboats except for Langkawi, that is ferry type, so if you have serious motion sickness, better to choose the Langkawi route. For us, we felt that the shortest route from Singapore would be to through Langkawi. So we flew Tigerair (now known as Scoot after the merger) from Singapore to Langkawi, cost around $93SGD/pax, it is a return flight without baggage, and that is if you bought your tickets when there is a sale! The flight takes about 90mins to reach Langkawi. The constraint that you will face is that there are only 2 ferry timings from Langkawi (Telaga Ferry Terminal) to Koh Lipe. You will need to reach 1 hour before the ferry departure time, so make sure you plan properly to meet the ferry timings! 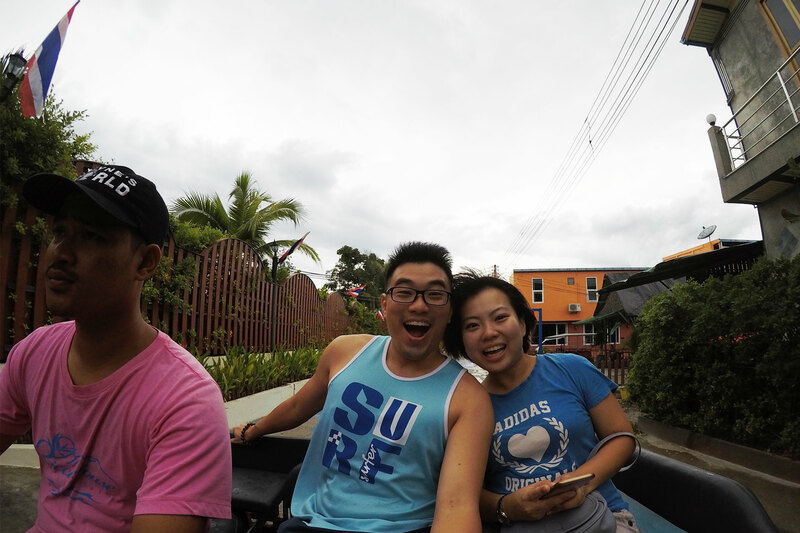 If you don’t want to make a rush trip, you can just choose to stay in Langkawi for 1 night like what we did! 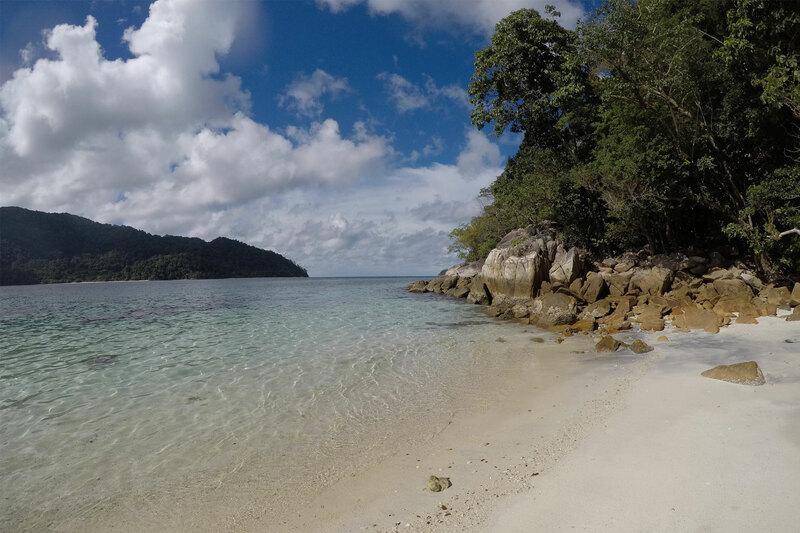 Bonus: If you choose to stay in Langkawi for 1 night, you can stock up some alcoholic drinks (it is cheaper in Langkawi than in Koh Lipe) if you would like to drink and chill by the beach in Koh Lipe! Buy some tidbits too before heading for your ferry trip to Koh Lipe in case you get hungry on the ferry. Do not forget your motion sickness pills just in case the waves get choppy on the way. The departing ferry time from Langkawi Telaga terminal to Koh Lipe is 9.30am and 2.30pm Malaysia time. Prebook your ferry tickets online at Telaga Terminal website to save cost. Each return ferry ticket cost around RM233 (~78sgd) and the journey takes about 90mins. So you are literally going from Malaysia to Thailand via the sea! 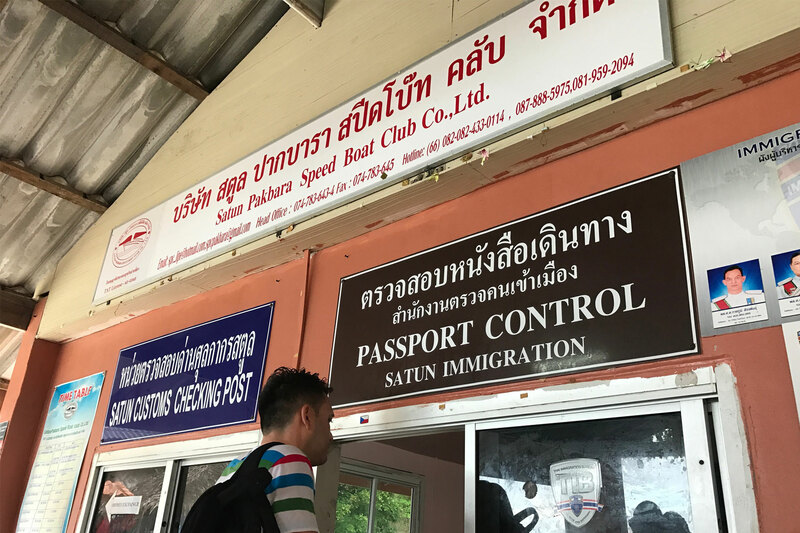 One thing to take note is that the ferry personnel will collect your passport when you are on the ferry and will only return to you when you are at Koh Lipe custom. Don’t be surprised as to why your passports are being collected as it is their standard operating procedure. At the customs, they will call out your name to let you know that you are next in line to be cleared. However, be prepared to wait a while if there are Eurasians travelling together with you as the customs officer will clear the Eurasian tourists through the customs first before the Asian tourists. There is no port or harbour in Koh Lipe, only beaches, so when the ferry is nearing Koh Lipe, you will need to make an on-the-water transfer from the ferry to the long tail boats for a 15min boat ride to reach the island. We would recommend you to pack light and refrain from bringing any luggage unless you would like your luggage to collect the beautiful sand from the beaches of Koh Lipe! 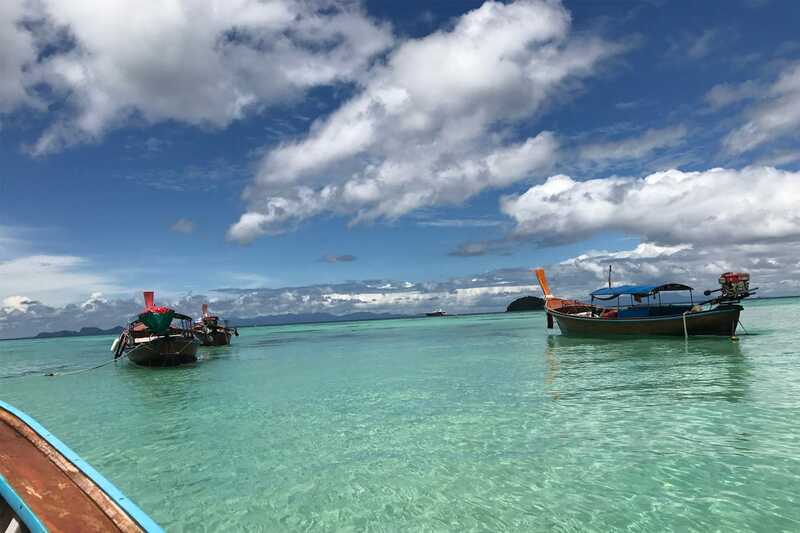 Change into slippers and board shorts (for males), quick dry shorts (for females) before boarding the ferry to Koh Lipe as you may need to get wet from the transfer to the long tail boat and when you need to alight from the long tail boat. Remember to change Ringgit and Thai Baht if you are staying over in Langkawi (we will update our Langkawi stay in next few post with the most romantic sunset in Langkawi) for the night. Meanwhile, enjoy the videos because there are important information that you need to know! Koh Lipe Immigration, you will need to wait for your names to be called to queue up for customs clearance. After clearing customs, our friendly hotel staff came to pick us up from the immigration. Remember to call your hotel reception to pick you up when you reach the customs or inform them of your ferry arrival time in Thailand time, because Thailand is 1 hour behind Malaysia / Singapore time. If you would like to explore and take a walk, you can do so too from the customs, the island is very small, about 2km from East to West and 1km from North to the South. Our hotel Transfer to Ricci House! Once you are on the island, of course the one activity not to be missed is to go diving or snorkelling out in the sea. Definitely, you need to do a bit of research to see which company you would like to go with, but if you are already reading this, don’t worry, research has already been done for you! We would like to recommend Adang Sea Divers as it has the best reviews for diving and snorkeling. Go check them ( Adang Sea Divers Eco Sunset Snorkeling Tours – Koh Lipe.) out and make a booking with them! The person in-charge is very pretty and friendly too! The Sunset snorkel cost 800THB (~34sgd) which includes mask,snorkel,fins,lunch,fruits from 2pm to 7pm with a minimum of 4 to depart. They like to keep the groups going out relatively small, so don’t worry if you think you would be neglected. If you would like to see the luminous plankton, you may request for it to be added. But there will an additional charge of 100THB/pax, and you will have to take into consideration the rest of the people who will be coming with you as well if they are willing to see the luminous plankton. You will have to wait for the sky to turn dark before heading out to the deep waters to see the luminous plankton, that would be around 7.30pm to 8pm. This is one natural sight that you cannot take photo or video, so you will have to see it with your own eyes! To secure the booking with them you have to Paypal them 1000THB + 5% booking fee. It was a very memorable trip as they really live up to what they say, focusing on small groups which means more attention and we were not brought to crowded areas, kind of feels almost like a private tour. If you are walking around on beaches in Koh Lipe, there are a lot of people selling Swimming-With-Planktons trips. These trips are usually conducted in big groups, definitely not what you want. So if you want quality and relatively small groups and do not mind paying a bit more, Adang Sea diver is the best choice! 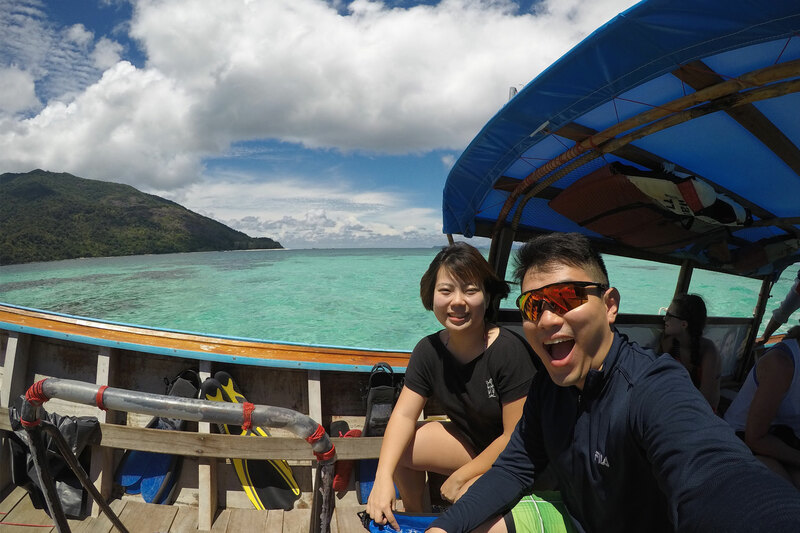 Our guide from Adang Sea Diver is Louise, she is very thoughtful and shares her knowledge wholeheartedly, makes you feel like you are on a trip with a close friend. One of the snorkeling sites that we went was actually a secret beach that not many people know of. You will have to trek over a jungle before you can see the beach and we are literally the only human beings there. While at the secret beach, you don’t just go snorkeling, there is an extra activity that you can do, that is Hermit Crab racing! There is amazingly more than 20 hermit crabs with beautiful shells that can be found on the secret beach! Choose your hermit crab and see them trying their very best to race out of the trench that you dig for them! It is FUN! 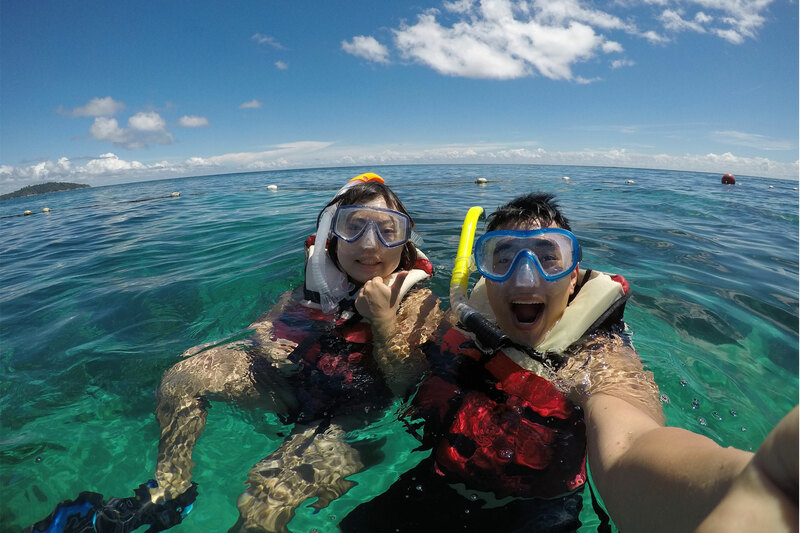 After that you can go snorkel in the clear and pristine water and it is the best for snorkelers who want to see more as you can see the sea from the shallow part leading on towards the deep part. You can see big school of fishes swimming around and spot some fake clown fishes hiding amongst the beautiful corals too! 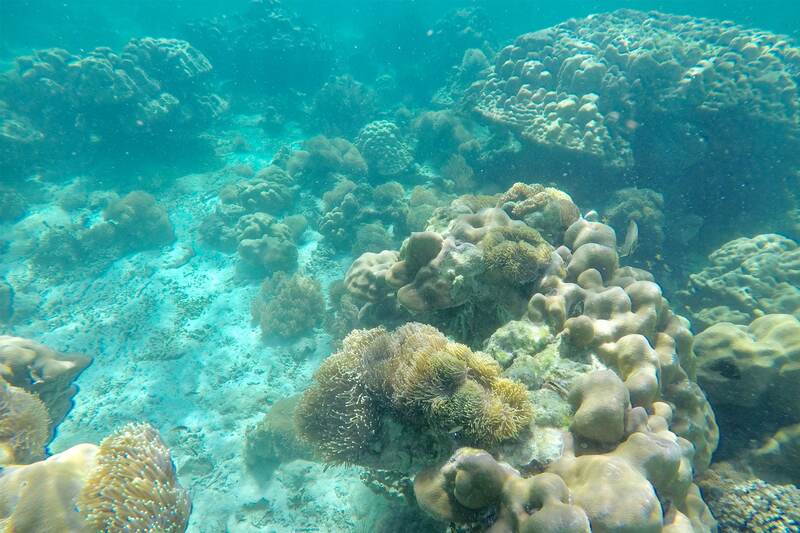 If you are lucky, you are able to spot sea turtles and puffer fish! There are a lot of puffer fishes that though. In the late evening as the day comes to a close, you will head to a quiet beach to have a meal and just listen to the waves hitting the shores while the sun sets beautifully in the horizon. Koh Lipe Snorkel Trip Begins! 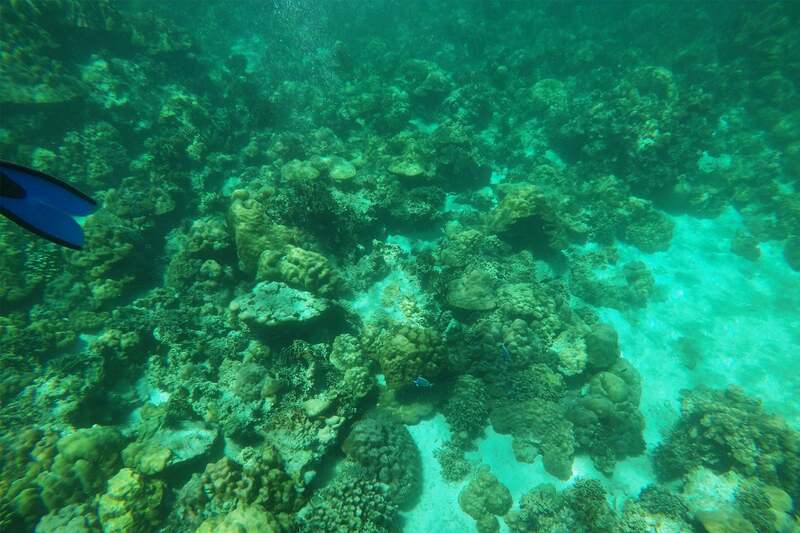 Snorkeling at Koh Lipe with beautiful weather and having fun! Koh Lipe Secret Beach – Look at how clean and clear the beach and water is. Surgeon Fishes Spotted,our fins have the same color as them haha! The clarity of the sea is perfect that day. After the sun has set, it is time to head back, but before that, we go swim with the bioluminescent planktons! Louise and her team brought us somewhere middle of the sea near the beach head of Koh Lipe but deep enough. Before you jump into the water, just to caution you that it is really pitch dark, you cannot see anything beneath the water. You will have to take a leap of faith and jump into the sea! I promise you that it would be the most adventurous thing you would have ever done besides sky diving. The planktons will only be visible when you move thus it is difficult to capture any video in the pitch dark sea, so just leave your camera on the boat! If you are artsy fartsy, you can bring along and try to do a very art photos like the one shown below. The picture turned out to be something that is moving very fast like the flash! So when you swim, whatever your actions are, moving your legs, moving your hands, the bioluminescent planktons will light up in blue following your motion. IT IS ABSOLUTELY A BEAUTIFUL SIGHT!!!! You will be so mesmerized by it, it’s like the stars in the sea glittering at you! You have to be there to feel this peak life experience yourself. Like we said, it is something that you have to be there to experience it. But please look up and around from time to time as you do not want to drift away too far from the boat. Swimming with bioluminescent plankton in the Sea – the best picture that i captured with my goPro5 using night mode, shutter:auto. The snorkel adventure and hermit crab racing are featured in the video below and if you want some vitamin sea and do not want to travel too far, Koh Lipe is the best bet and the best time to go is from November to April and its peak period is in December and January. It was actually our birthday when we went in April! So you may want to consider bringing your partner for a birthday trip to relax! 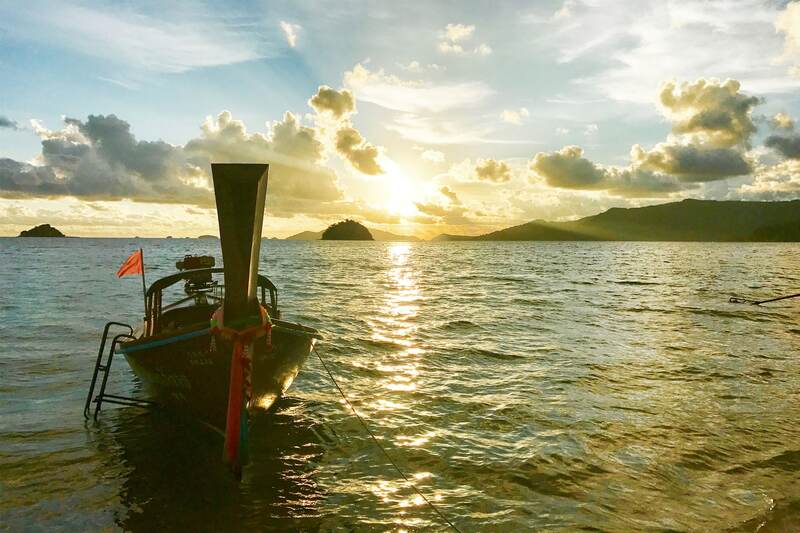 The Langkawi part will be shared at the next post to give you the details of the most romantic sunset in Langkawi and the best afternoon tea in Langkawi. If you are really scared of the dark and have absolute fear of the water and you decide not to jump into the sea in pitch black, we found a place that you can find the bioluminescence plankton on shore. Go to the Cliff Sunset Beach it is a 20min walk from the Ricci House(Where we stay that is cheap,good,clean and value for money), you can choose to walk or just take a taxi. Do head to Cliff Sunset Beach resort and have a romantic dinner while basking in the rays of the sunset because this is the best place on Koh Lipe to see the sunset. 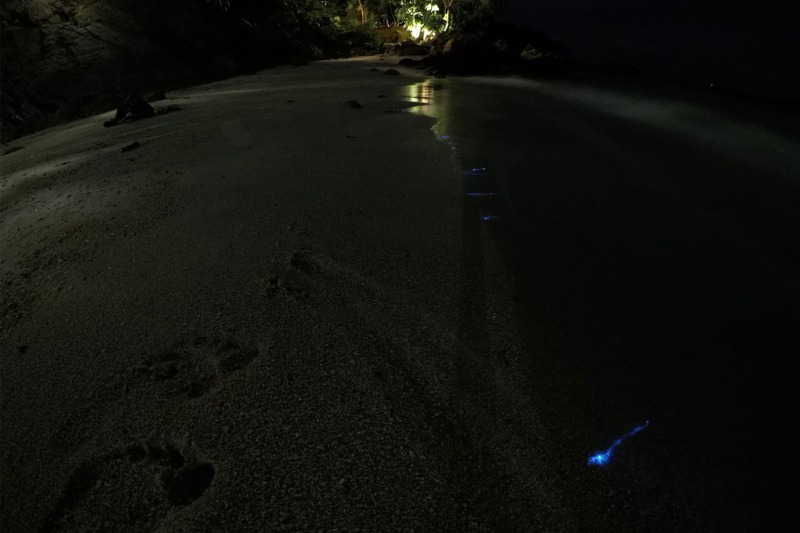 Wait for the sky to turn completely dark before heading down to the beach bar and you may just see some bioluminescence plankton washing up the shore! It is blue and it is cool! 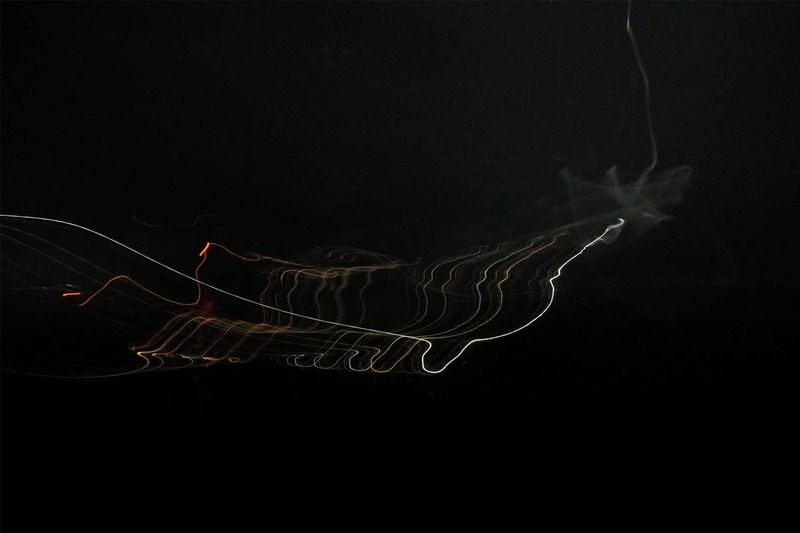 Luminous Plankton,we used goPro5 in night mode with shutter speed of 5secs to capture this! 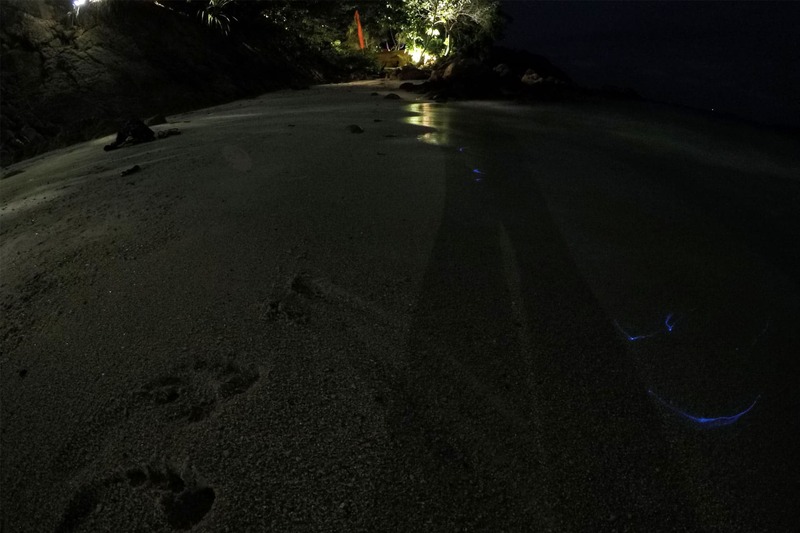 At the private beach of The Cliff at Koh Lipe capturing the bioluminescence plankton on the shore. While you can see the bioluminescence plankton washing ashore, it would not be as magnificent as it would be in the sea, so do jump into the sea is still the best! Your Leap of Faith will be worth it! Remember to spray mosquito repellent before heading to the private beach. If you would like, you can also stay in the Cliff sunset beach resort. It is a sea view resort suitable for people who just want to enjoy the facilities and view without heading anywhere. To know what to eat, where to stay and more to activities to do in Koh Lipe, stay tune for the next post! Subscribe to sherrymerry.com to be the first to know about our adventures! Comment below if this post had made you excitied to want to pack your bags and go for your next adventure or even included inside your bucket list! Remember to subscribe to our blog and Youtube channel to get the latest updates of our post! Remember to also follow us on Facebook and Instagram @CrazyAdven2ras ! BE CRAZY! Stay Adventurous! Playing around Koh Lipe Sunset! Have Fun! Koh Lipe (Maldives of Thailand) - Where and what to eat!